Doing applications can be a difficult and daunting task, especially if you don’t know where to start or what law firms are looking for. 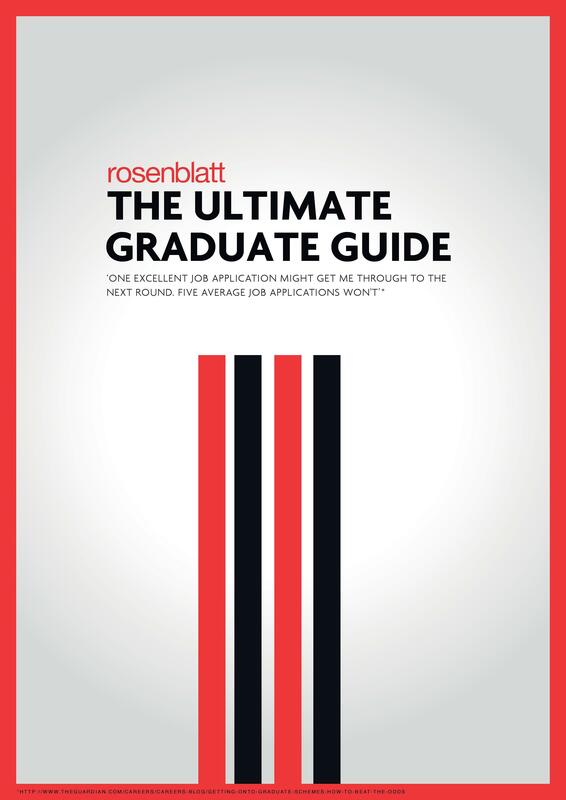 Rosenblatt, a full-service, entrepreneurial firm in London have helpfully created a handy guide to help you when applying for grad schemes. Check it out below and I have also included a downloadable copy at the bottom of the page. If you are looking for a firm that will give you responsibility from day one, Rosenblatt are looking for trainees who have a focus on personal impact, entrepreneurial drive, and problem-solving skills. Due to their small trainee intake, you can be assured that you will have a lot of responsibility from day one and undertake a variety of exciting work for well-known corporates, business start-ups and entrepreneurs. If this sounds like your kind of firm, their deadline for the Vacation Scheme and Training Contract this year is 29th February 2016. Check out the link and what they have to offer here: Rosenblatt Graduate Opportunities. Good Luck! And always remember to never give up and keep trying.